When you tap on a template on the New Inspection screen of Tap Inspect you get a new, blank inspection report that is ready to fill out. 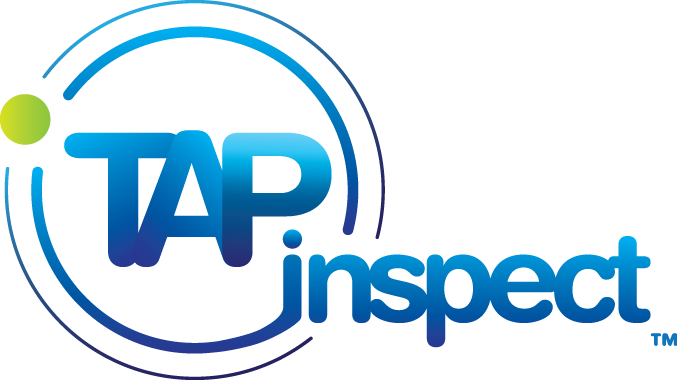 A template in Tap Inspect can be thought of as your blank inspection form. It contains a list of items grouped in sections that make up the basic structure of the inspection report. Each new inspection report is created from a template. By adding additional templates, editing your existing templates, and even saving frequently used values in your template you can greatly reduce the amount of work you need to do in the field. Go to the New Inspection screen of Tap Inspect. Each row with a '+' is a template. The default templates were added from our standard templates when you created your Tap Inspect account. They are now yours to edit, copy and even delete as you desire. At the bottom of your list of template on the New Inspection screen is a button labeled Add or Modify Template. Tap on that and you can manage your templates. On the Manage Templates screen you can add new templates, rearrange the order of your templates, trash a template and open one of your existing templates in the Template Editor. A template is made up of the Template Options and a collection of sections. Each of the sections has a collection of items. The template options tell Tap Inspect how the template behaves and also how to build the final PDF report. You can specify things like the title of the report, the name of the template, whether to include a Table of Contents in the report, to include a Report Summary and where to put it or whether to put photos on the Report Summary in addition to in the report. At the top level of a template you see a list of sections. They are displayed in the same order they will be printed and can be rearranged by dragging them up and down. Each section will be listed in the Table of Contents of a report if that template option is enabled. Sections can also be be hidden or visible. A hidden section has a green plus indicator and is still in your template. It just will not be visible when doing your report or when the PDF is generated. It can be 'un-hidden' by tapping the green plus if needed for a particular report and all the items are already there. Tap on a section and you can see it is a collection of items, a section header, a section footer and possibly sub-sections. Just like the sections in the top level, you can rearrange the items as well as hide or show them. To edit the text of the header of footer just tap on them. You can also change the name of the section. Go into the Cooling section of the Detailed Home Inspection template. It is actually a sub-section of HVAC but since it has a name, a collection of items, a header and a footer it is still just a section. Compare your screen with the image of the PDF report below and it may help. There are several type of items available in Tap Inspect but the most useful are Multiple Choice and Generic Text Entry. Take a look at the General section of the Detailed Home Inspection template. Tap on 'Property Type'. This is a Multiple Choice item that allows you to select an option (or more than one option if Allow Multiple Selection is checked). You can add more options to select from, rearrange their order or delete one or more. I hope this gives an overview of what makes up a template and how they are structured. Keep in mind that the template is YOURS. The standard templates are a good starting point but we all do inspections and report things a little differently. We built Tap Inspect to be as flexible as possible and there is no right or wrong way to do anything.